Picture this: A frantic December 23rd trip to the mall for the “perfect” gifts, but leaving with yet another golf shirt for dad, a disappointing book for mom, and socks for your significant other…sound familiar? 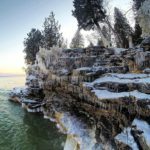 Thanks to Something Special from Wisconsin™, we’ve compiled a list of great (and local) gift options…with plenty of time left to wrap! Happy shopping! Elegant Arrangements is a florist and gourmet food gift basket shop that provides designs for any occasion. 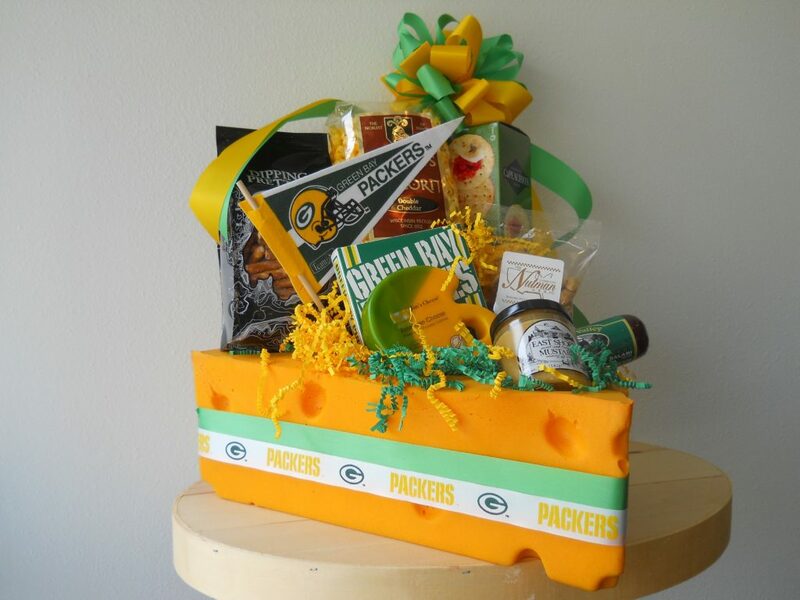 Gift baskets contain a variety of Wisconsin snacks and sweets, and can be customized to meet anyone’s tastes. The Green & Gold Cheesehead Snacker comes inside a cheesehead (and who doesn’t need one of those? ), the Badger Snacks Gift basket is the perfect treat for all the Bucky games this season, and the Wisconsin Winter Snack Basket contains all of the winter essentials, including cheddar popcorn, maple syrup and butter pecan toffee. Yum. A family-owned and farm-based business, Timeless Knits and Gifts uses wool homegrown from its flock of Carriedale sheep and English Angora rabbits, providing the softest, most luxurious shades of brown, black and gray. The business also experiments with natural dyes, such as beets, berries, tree bark and tomatoes. Sweaters, scarves, hats, mittens, toys, comforters and ornaments are all available for purchase, as well as individual spools of yarn for knitting enjoyment. The hickory used in Wisconsin Hickory Syrup is grown, harvested and processed locally in central Wisconsin and is free of preservatives, fat, sodium and cholesterol. 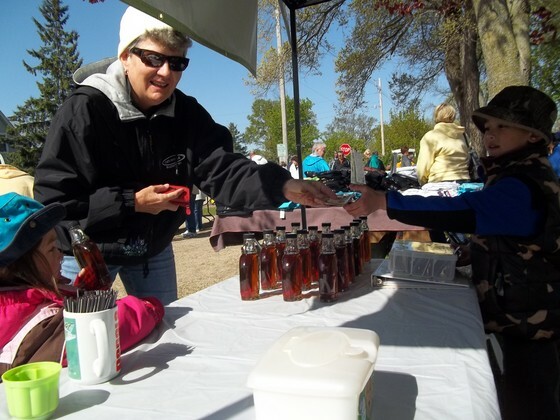 Products are available for purchase on their website, and include an 8 ounce glass jug of syrup, Wisconsin Hickory fudge, and hickory nut kernels, or a gift box containing Wisconsin Hickory syrup and fudge. You’re going to love this one, and so will anyone who unwraps something from Sweet P’s Pantry this season. With a selection of toffee, caramels, chocolates, barks, nuts, snacks, candy bars and baked treats, those with a sweet tooth will surely thank you. 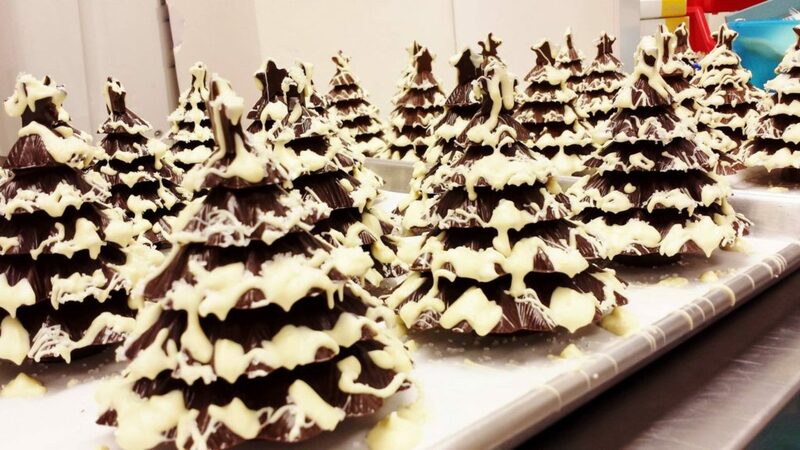 Sweet P’s even has seasonal options, including chocolate Christmas trees, eggnog truffles, chocolate covered marshmallows, extreme S’mores, a nut trio gift box and more. I guess my friends and family know what they’re getting this year (hoping they share with me). A family of woodturners from Wisconsin create unique hand-crafted pens, pencils, desk sets and fishing lures from a variety of woods, including birdseye, blood wood, cherry, hickory, holly, mahogany, maple, walnut and more. Their bullet pens combine real brass shell casings with beautifully turned woods, while their special edition pens use Ford Model T spokes. 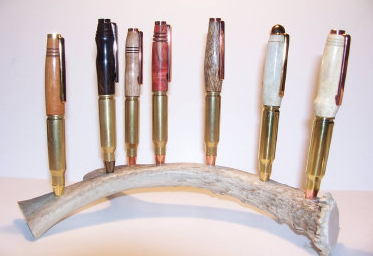 The Pen Men can create a unique pen from any special object you provide – a perfect, meaningful gift! Coffee lovers unite for Madison’s own Steep & Brew. It was founded in 1979 and offered steeped whole leaf tea and fresh brewed coffee, and established its flagship café on State Street, where it continues to roast. Its assortment of coffee and tea has grown over the years, and has also expanded to include coffee and tea gadgets and supplies, blended beverage mixes, syrups, sauces and single serve brew cups. 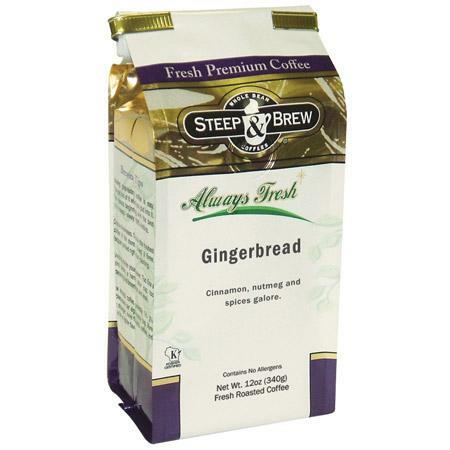 All products can be purchased online, or look for Step & Brew at your favorite grocery store in the coffee aisle. 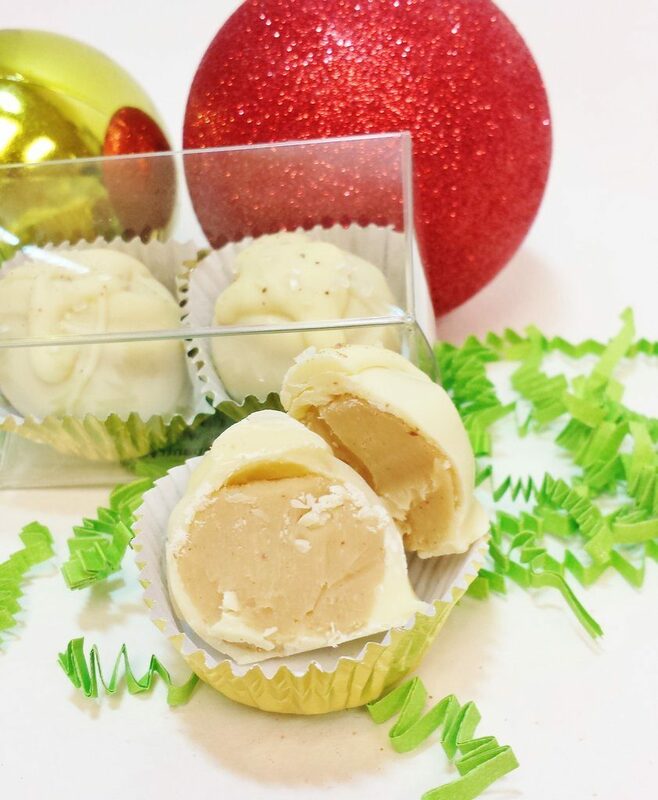 Shamrock Soaps is a small, family-owned business based in Ixonia that produces quality soaps, scrubs, lip balms and bath bombs, and proudly donates to organizations that promote health, reduce violence and poverty and increase educational opportunities around the world. 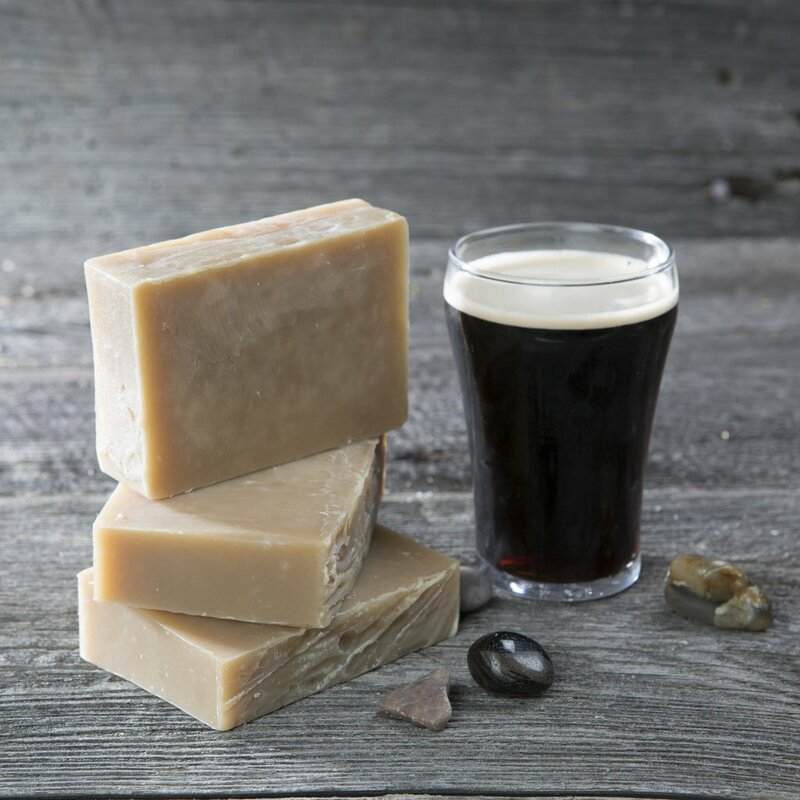 You can purchase beer soap, oatmeal soap or lavender soap, chocolate orange truffle lip balm, a strawberry bath bomb and more, and rest assured that you’re getting a quality product and giving back to the community. Win-win! Did everybody’s home growing up have those tin containers divided into three sections of popcorn, or was it just mine? 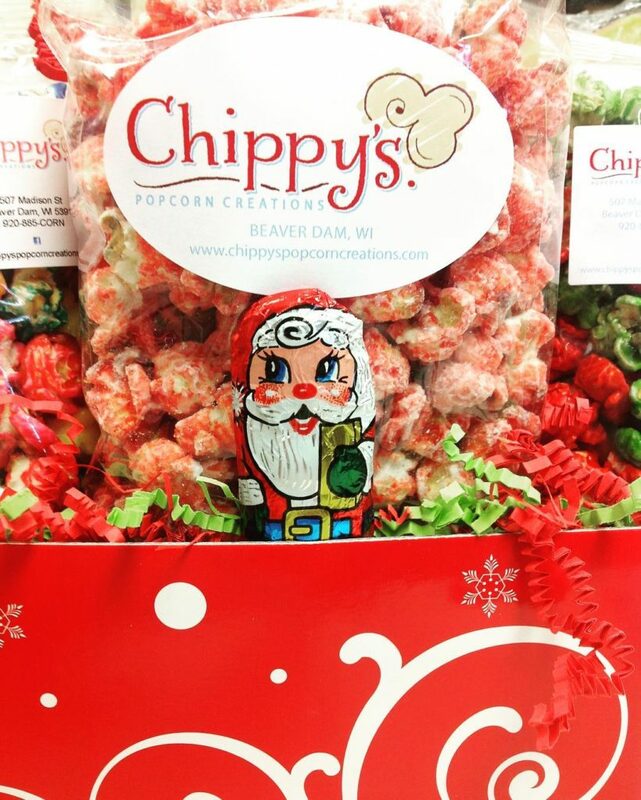 Gourmet popcorns are a staple around Christmastime, and Chippy’s, based in Beaver Dam, provides some of the best popcorn and kettle corn around. The husband and wife duo prepare kettle corn, caramel glazed kettle corn, cheddar cheese corn and the famous Chippy’s Blend (a mix of all three). Chippy’s Popcorn Creations shop features more than 60 chef-inspired popcorns, farmstead premium ice cream, locally roasted coffee, locally-grown popcorn seeds, popcorn giftware, retro candies and more…Christmas gifts galore. 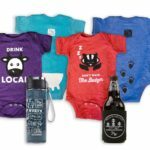 What are some of your go-to local gift ideas? 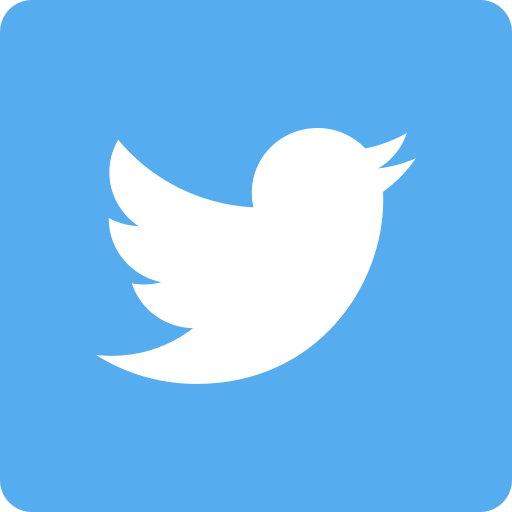 Share with us on social media using #DiscoverWisconsin!